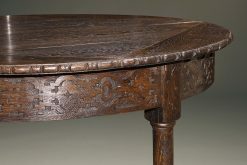 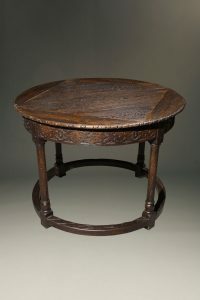 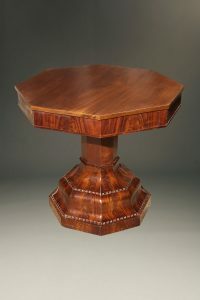 Octagonal center table with flame grained mahogany. 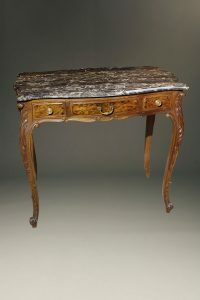 French Louis XV style table with marble top. 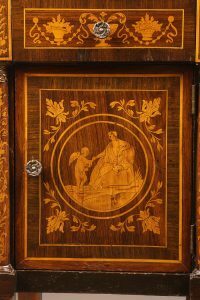 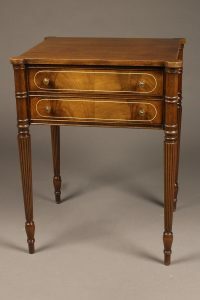 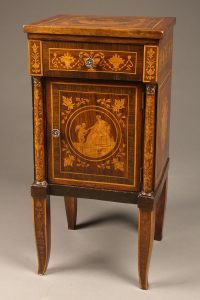 Late 19th century Louis XVI style night stand with marquetry. 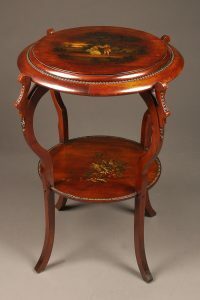 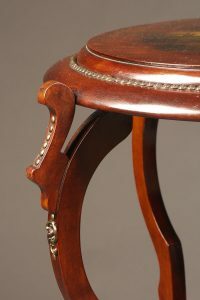 Early 20th century mahogany side table. 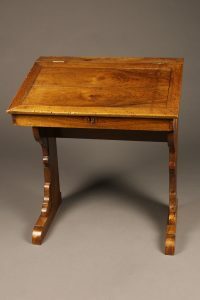 Antique French school desk in walnut. 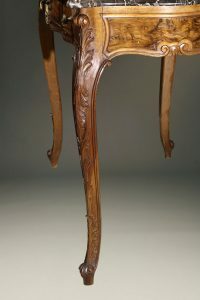 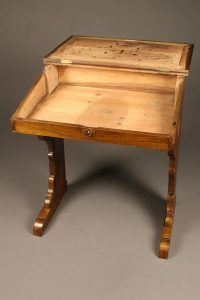 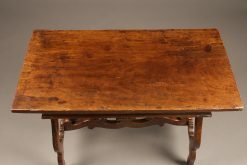 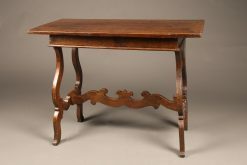 19th century French Louis XIV style work table. 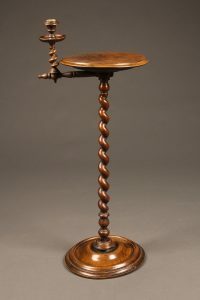 English candle stand with rope twist carvings. 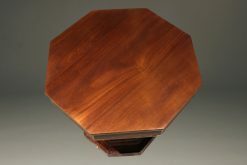 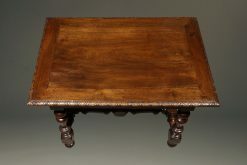 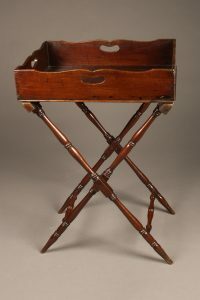 Antique butler’s table with handled mahogany top tray and folding base. 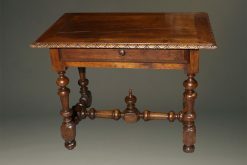 Italian side table from Tuscany. 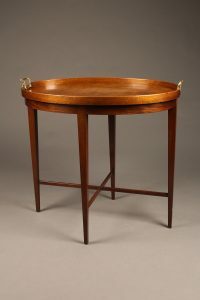 Very nice English tea table with oval top and brass handles. 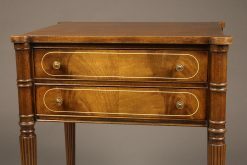 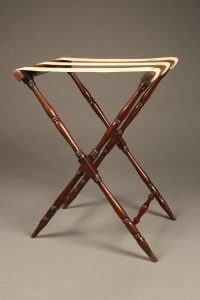 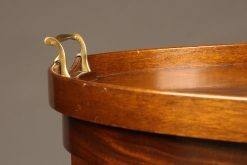 Two drawer Sheraton style mahogany end table.